Indiana Personal Injury Frequently Asked Questions | Legal FAQs | Keller & Keller and is one of the most common reasons for missed work, according to the American Chiropractic Association. Back pain can be agonizing and incapacitating, but unless there is a medically determinable impairment, you will not be likely to qualify for Social Security Disability Insurance (SSDI) benefits. Getting the right diagnosis for your back pain is the key to qualifying for the benefits you need. Even if you are diagnosed with one of these conditions, you will not automatically qualify for disability benefits. You will have to provide medical records proving that your symptoms match the requirements in the Social Security Administration’s (SSA) listing of impairments for spinal disorders and you will have to demonstrate that your condition prevents you from performing tasks required by your job. The SSA sees more applications citing back pain than any other condition, so it is vital that you work with an experienced disability attorney to present the most complete application possible. The attorneys in our Indianapolis and Granger offices will make sure that your back pain has been properly diagnosed, that you have the required medical documentation, and that you have proof that your functional limitations prevent you from working. If you are suffering from back pain and are unable to work, contact us for a free case evaluation. If we can help you, we will. 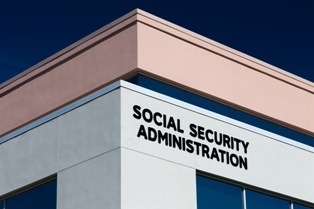 If you have paid into the Social Security system for at least five of the last ten years, you should be considered fully insured and, if you become disabled and are unable to work, you should qualify for Social Security Disability Insurance (SSDI). It may sound simple enough, but it is unfortunately not often that simple. An estimated 65 percent of first time SSDI benefits are denied. This is not the end of the road, however, and a qualified SSDI attorney from Keller & Keller can help you through the appeals process. One step along the way is the Administrative Law Judge (ALJ) Hearing. This is an informal hearing with a judge in a conference room, not a courtroom. Hearings generally last about an hour and a half. Attending the hearing will be you, your attorney, the Administrative Law Judge, and a hearing monitor to record the proceedings. The judge may also want to hear from vocational and medical experts. Your attorney may also call witnesses to testify on your behalf. You will be asked questions about your work history, education, medical history, symptoms, perceived work limitations, daily activities, and more. The judge’s goal is to determine your level of disability. Your attorney will prepare evidence of the emotional and physical pain you have experienced and how the injury or illness has affected your ability to work. In Indiana, roughly 45 percent of these hearings find in favor of the claimant. Indiana has hearing offices in Indianapolis, Fort Wayne, Evansville, and Valparaiso, and remote meetings can also be scheduled. While you are not required to have an attorney representing you for the SSDI application and appeals process, it is highly recommended that you do. Fill out our free case evaluation form to find out how the Indianapolis office of Keller & Keller can help you through this difficult and frustrating process to get you the benefits you have earned. When a person has been diagnosed with a rapidly progressing or fatal condition, getting help quickly is essential. The average waiting time for a decision about a Social Security disability application can be as long as two years, so if you are in need of immediate assistance, you would be out of luck, even with retroactive benefits. However, under the Social Security Administration’s Compassionate Allowances (CAL) program, certain conditions can be approved almost immediately to ensure you get the benefits you need when you need them. Do I need a lawyer for my Indiana disability claim? The Social Security disability application process is confusing and difficult. In fact, nearly two-thirds of initial SSDI applications are denied every year, often simply because information is incomplete or missing. While you don’t technically need a lawyer to apply for benefits, your chances of approval are significantly better if you work with one. Find out how an Indiana disability attorney can help with your initial application or your appeal and whether it is worth it for you to hire one. Determining eligibility. Many people are denied because they were not eligible to apply for benefits in the first place. Our attorney will review your claim for free and let you know if you should apply for benefits or not. This can save you significant time and trouble. If you have already been denied, we will let you know if you have grounds for an appeal. Preparing the application. If you decide to hire us, we will help you fill out and submit the application, ensuring that it is complete and that you meet all of the criteria. Arguing for eligibility. In order to qualify for SSDI, you must show that your condition is included in the SSA’s Listing of Impairments or that it is as serious as one of the conditions listed. This can be difficult to prove without an experienced disability attorney. Filing an appeal. Wherever you are in the application process, our attorneys can step in and help with the next step. If you are appearing before an Administrative Law Judge, we will prepare a detailed brief to argue your case. The earlier in the process you hire an attorney, the more we will be able to help. Our initial consultation is always free, and we don’t charge a fee until and unless you are awarded benefits. Attorney fees for SSDI claims are regulated by federal law, so you can be sure our fees are fair. So, should you hire an attorney to help with your SSDI application? Schedule your free consultation with us and find out. 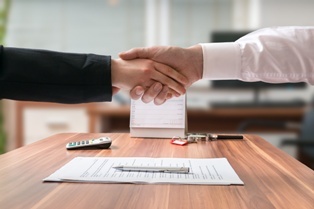 You have nothing to lose by meeting with our attorney, and you could have everything to gain. Fill out our free case review form and we will be in touch with you soon. What if the person who hit me doesn't have insurance? By law, all registered vehicles in New Mexico must be covered by car insurance. Yet New Mexico continues to have one of the highest rates of uninsured motorists in the country, according to the Insurance Research Council. Their 2017 report revealed that 20.8 percent of New Mexico drivers were uninsured in 2015. That means that if you are in a collision with another driver in Albuquerque, there is a nearly 1 in 4 chance that he or she will not have insurance. While there are penalties for uninsured motorists, including fines and license suspension, getting in a collision with an uninsured motorist puts an unintended penalty on you. New Mexico minimum coverage law requires drivers to carry liability coverage of $25,000 per person for injury or death, $50,000 total injury or death if there are multiple people in the vehicle, and $10,000 for property damage. If you are injured in a crash with an insured driver and he is found to be at fault, you would be able to file a claim to recover up to the limits of his insurance policy. However, if he does not have insurance, you will not be able to recover anything from him. He may be fined and even lose his license for not having insurance, but that won’t help you with medical bills, property damage, and other losses. Therefore, it is important to protect yourself in advance for the possibility that you will be involved in an accident with an uninsured motorist in New Mexico. Because of this potential risk, many drivers carry a form of coverage known as uninsured (UM) or underinsured motorist (UIM) coverage. UM/UIM coverage protects drivers when they suffer a property damage loss or injury from an accident with an uninsured motorist. If you have uninsured motorist coverage, and it is confirmed that the at-fault driver does not have insurance, then your own insurance company should compensate you for your medical bills, lost wages, and pain and suffering, as well as damage to your vehicle. 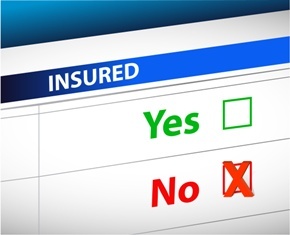 Some people are hesitant to file an uninsured claim for their accident since they are pursuing their own insurance policy. Though pursuing your own insurance company may not make sense initially, it is important to understand that you pay monthly premiums for this coverage and it is there to protect you. If you discover that the driver who caused your accident is uninsured, your first move should be to call the car accident attorneys at Keller and Keller in Albuquerque. We will help you file a claim with your own UM/UIM policy if you have the coverage, or investigate the possibility of a civil suit against the at-fault driver. It is important that you do not give up hope. 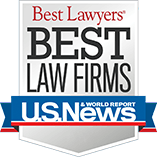 Our attorneys will help you get the best possible recovery. Fill out the form on this page to connect with us today. How does witness testimony help a claim for compensation after an Indiana car accident? You may be confident that your Indianapolis car accident was caused by the other driver, but he may be just as confident that he did nothing wrong. Car crashes often come down to one driver’s word against the other’s. One way to back up your claim that you did not contribute to the cause of the accident is to gather the testimony of eyewitnesses. How can an experienced Indiana truck accident attorney prove truck driver negligence? 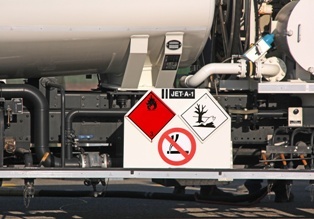 What are the dangers of Indiana hazmat trucks? We see large tankers carrying hazardous materials on Indiana roads every day. We may not know what’s in the containers, but we know we don’t want to come in contact with whatever it is. When one of these trucks crashes and hazardous material is released, motorists are in danger of more than just broken bones. Exposure to chemicals could cause a variety of ailments, including chemical burns, respiratory damage, eye damage, and organ failure, and the trucker may not be the only liable party. What Are Hazmat Trucks Carrying? If a hazmat truck crashes and releases any of these materials, even those not directly involved in the crash could suffer injuries. Who Is Liable for a Hazmat Truck Spill? In the case of a hazmat truck crash, liability for damages will have to be determined. An investigation into the trucker’s actions, maintenance and repair records on the truck, and actions on the part of the shipper of the hazardous materials must be conducted. If the trucker’s actions caused the crash, but the hazardous materials he was hauling caused most of the harm, there may be a shared responsibility. If you were injured or a loved one was killed in a hazmat truck crash, you need a law firm that will pursue every possible liable party on your behalf to get you the compensation you need to recover from your losses. Call Keller & Keller when you want tenacious, experienced representation. Why do I need a lawyer for my New Mexico semi-truck accident? If you have been injured in a semi-truck accident in New Mexico, you are already at a disadvantage. Not only are you in pain, but you are probably missing work and have a long road to recovery ahead of you. You want to make sure that the negligent truck driver and the trucking company pay you fully and fairly for your medical bills, lost wages, and pain and suffering. The trucking company likely has a legal team with years of experience handling the many accidents their drivers are involved in, so you should have the same advantage of having an experienced team behind you. Crashes with commercial vehicles are not like car accidents and should not be handled the same way. Conducting a thorough investigation. It is critical that truck accident cases are investigated as soon as possible. 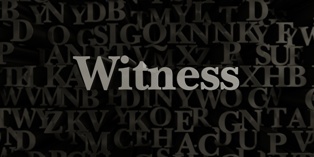 Witnesses need to be interviewed before their memories fade and evidence needs to be preserved before it disappears. 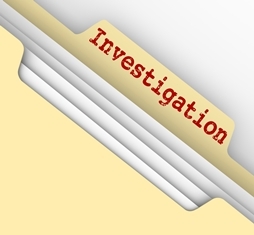 Our experienced team of investigators will file the necessary paperwork to block the destruction of key pieces of evidence, including driver logs and the truck’s electronic data recorder, to support your claim for compensation. Standing up to aggressive insurance companies. The trucking company’s insurer has one goal: to save themselves and their insured money. Most commercial trucks carry over $1 million in insurance, so there is a great deal of money on the line. You need someone on your side who is not afraid to stand up to the insurance company and demand the settlement you will need to make up for your losses. Fighting claims of shared liability. One way the trucker’s insurer will try to reduce its liability is to pin at least part of the blame on you. New Mexico’s pure comparative negligence law means your recovery will be reduced by the percentage you are found to be at fault. For example, if you are found to be 50 percent to blame for the accident, your settlement will be cut in half. Our attorneys will not allow the trucker’s legal team to influence determination of liability. We will fight to protect your recovery. When you have been injured in a crash with a commercial semi-truck, call us as soon as possible. 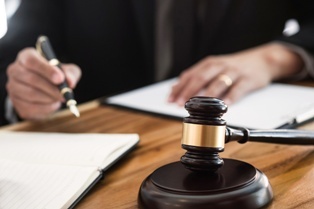 Our experienced team of attorneys and investigators will be able to make sure that you get the assistance you deserve. From our office in Albuquerque, we're proud to serve injured victims of trucking accidents throughout all of New Mexico. What are the most common types of New Mexico truck accidents? Traveling on I-40 or I-25 in New Mexico, you see plenty of commercial semi-trucks passing through Albuquerque. In fact, I-40 is one of the most dangerous sections of interstate in the country, due in large part to its heavy use by semi-trucks making their way across the country. When you are aware of the kinds of accidents semi-trucks can cause, you may be able to avoid becoming the victim of one. Jackknife accidents. Jackknifing is a term used to describe what happens when the back end or trailer portion of a truck swings around and creates a fold or an angle between the trailer and the cab. This happens when truck drivers are speeding or following too closely to be able to stop suddenly. Underride accidents. Because truck trailers are higher off the ground than most other vehicles on the roadway, cars traveling next to or behind the truck can end up pinned underneath the trailer when the truck stops suddenly. These kinds of crashes are often fatal for the occupants of the car. Unsecured cargo accidents. A fully loaded semi-truck can carry tens of thousands of pounds of cargo. If the cargo is not loaded and secured properly, it can fall into the roadway. This can be very dangerous if the truck is carrying hazardous material. Another common accident caused by improperly loaded cargo is overturning. When a truck is attempting to make a turn, it may be thrown off balance by improperly loaded cargo in its trailer. Truck driver negligence. Some of the most common examples of truck driver negligence include aggressive driving, drug or alcohol abuse, inexperience, criminal behavior, speeding, texting while driving, unsafe lane movements, and driver drowsiness. Failure to maintain the truck. Trucks are driven thousands of miles a week and because of this, it is critical that they are regularly examined and maintained by a trained mechanic. Common problems that can result in serious accidents include brake failure, work tires, defective equipment, improper reflectors and worn out locks and load straps. Employer negligence. 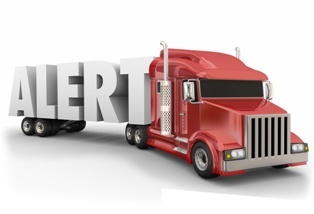 Employers of truck drivers have a legal obligation to ensure that their drivers are qualified. This means that they have a duty to perform random drug testing, conduct background checks, and take measures to ensure that their drivers are properly trained and licensed. Federal and state regulations require that companies annually review each trucker’s driving record, which includes checking for any traffic violations. If you were injured in any of these types of truck accidents in New Mexico, call the truck accident attorneys in our Albuquerque office. We have the experts you need on your side to investigate the crash and support your claim for compensation. What should I do when I see a reckless truck driver? Seeing a 40-ton tractor-trailer in front of you swerve off the road or drift out of his lane can be frightening to witness and, if you’re smart, you will back off to avoid a potential collision. However, you can do more to prevent the trucker from harming someone else. When you see a reckless driver, you should report him to the police and to his employer. If you have been driving behind a truck for several minutes and have witnessed these actions repeatedly, you should report his driving to the state police. It may not be possible to gather all of this information, but the more you have the more likely it is that the police will be able to find and stop the driver. If the truck has a sticker on the back with a phone number to report bad driving, you can also call that to report the driver to his or her employer. If there is no sticker, you can still call the trucking company and give them the license or USDOT number. If you are able to take these steps, you could save a life. If you are injured or a loved one is killed by a reckless truck driver, call Keller & Keller in Indianapolis to help you file a claim. We will check the driver’s record to see if he has been reported in the past for traffic violations, which will help your claim. What is the most dangerous truck route in New Mexico? You may never feel all that safe when driving near a commercial semi-truck. After all, your mid-size SUV will not offer much protection if you are sideswiped or rear-ended by a 40-ton tractor-trailer. And what if you are in a head-on collision with one? Your chances of survival are minimal. That is exactly what makes U.S. 550 so dangerous. In fact, it is among the deadliest stretches of road in New Mexico. What Makes U.S. 550 So Deadly? This 175-mile stretch of road runs between Bernalillo just north of Albuquerque to the Colorado border, passing through the towns of San Ysidro, Cuba, Nageezi, Bloomfield, and Aztec. It is a four-lane undivided highway with a speed limit of 70 miles per hour. According to the Santa Fe New Mexican, only I-40 had more fatalities per road mile in New Mexico from 2013-2015, and that interstate carries twice the traffic of U.S. 550. With no barrier between the two directions of traffic, vehicles—including semi-trucks—can easily cross the 6-foot-wide median into oncoming traffic. This is exactly what happened in a tragic 2017 crash on U.S. 550—a semi-truck crossed the median and collided with the Crawford family, killing them all. Another family of four—the Millers—were killed in a similar accident on U.S. 550 in 2014. What Can You Do When You Are the Victim of a Tragic Truck Crash? 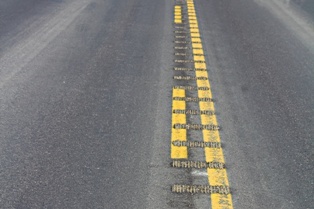 While the lack of a barrier and the high speed limit on U.S. 550 make it a dangerous road, it is still a driver’s responsibility to be alert, sober, focused, and in control as they travel on it. When a truck driver fails in this responsibility and causes an accident, he—and possibly his employer—can and should be held liable for the damage that is caused. 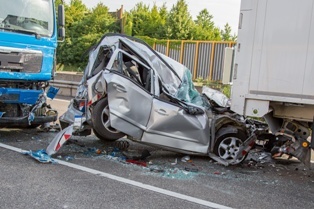 If you or your passengers are injured or a loved one is killed by a negligent trucker on U.S. 550 in New Mexico, contact the truck accident attorneys Keller & Keller in Albuquerque. We will investigate the crash to determine the cause and stand up to the team of attorneys the trucking company is likely to send in defense of its driver. Whether we are seeking injury damages or wrongful death damages, we will fight for the compensation you deserve. Contact our New Mexico office today.